This Video shows how to create Disc profile with the segemented process diagram in Smartart. The tutorial uses PowerPoint 2013. 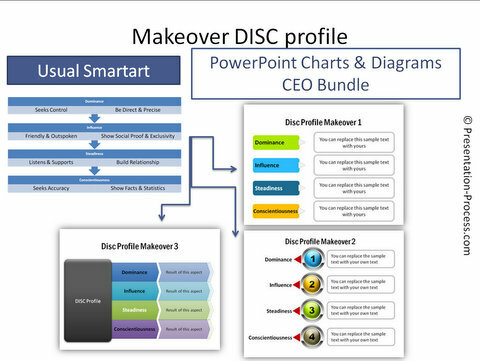 Here are some examples of making over the Disc profile created in Smartart into more creative templates.